Out in the field, Case sees other common mistakes in ladder use and handling. Not securing the ladder in the correct spot. Follow the four-to-one ratio. For every four feet of height, the base of the ladder should be one foot away from the support. For example, if your ladder is resting on a wall 16 feet from the ground, the base of your ladder should be 4 feet away from the wall. Carrying extra equipment and tools. All carry-ons should be secured in your tool belt or lifted to the landing spot in a bucket. Choosing the wrong type of ladder for the job. For example, a stepladder may be appropriate for painting a low ceiling where the ladder will be positioned in the middle of the room, rather than against a wall. In addition, you’ll need to determine the duty rating and load limits before climbing onto the ladder to start the job. Using a ladder instead of a more appropriate type of lift for the job. 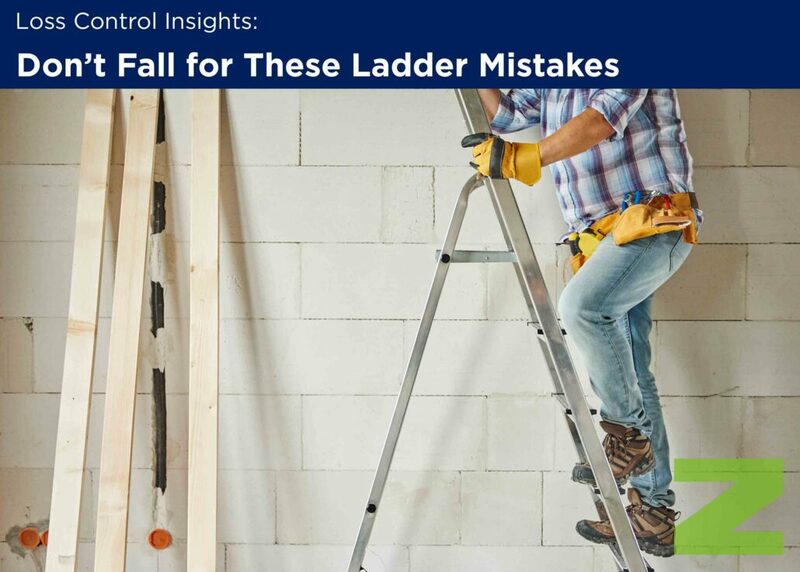 Case finds it surprising that ladder accidents have increased in the recent past, “Many companies have moved on from ladders to other technologies such as a telescoping boom, scissor lift or scaffolding, which potentially offer greater safety,” he says. You may have wondered if adding a stretching program to your injury prevention efforts would be worth the time and effort. Well, it depends. Though that may not be the definitive answer you were hoping for, but some companies implementing a program have great success, while others fall flat. Let’s explore what a stretching program can do and why it may (or may not) work for your employees. What Is a Stretching Program? As part of an overall injury reduction program, some businesses have greatly reduced their workplace musculoskeletal disorders (MSD) by including warm-up stretching before shifts start. This activity is a component of a comprehensive injury prevention program that also includes ergonomics, employee training on tasks and job safety, and early intervention when injuries do occur. Stretching reduces fatigue, increases balance and posture, improves coordination, and may also help in injury recovery. Stretching and flexing programs are appropriate for employees in any work setting, whether in an office, a shop or manufacturing environment, or at a construction site. As with any new program you might consider implementing, researching and planning are key. Success with stretching can reflect the attitudes of both management and front-line supervisors. If supervisors don’t buy in to the program, employees are less likely to fully participate. If management doesn’t seem to care, why should employees? The exercise leader is also important to worker acceptance. If the person leading the activities is enthusiastic, the program will have more impact and better participation from employees. Employees will enjoy, and perhaps even look forward to, this active start to their workday. It takes a skillful program planner to develop the right exercises for your employees. Because the stretching exercises need to match the jobs, it’s important for the program designer to have basic knowledge of the actions most likely to help prevent injuries. Consult with an accredited expert to assist in planning your approach and determining how to make the exercises work for various tasks. A specialist can help with task analysis, developing a program, individualizing it if needed and adapting when tasks change. The Danger of Left Turns Loss Control Insights: Can Stretching Prevent Injuries?